Overhead Garage door has provided garage door installation, replacement and repair services throughout Wilmette for over 45 years. Homeowners and business owners in Wilmette know they can rely on our quality residential and commercial garage door repair services. If your garage door is malfunctioning – whether it’s a problem with the chain, track or motor – our professional garage door repairmen can fix it. Not only will we use quality parts from major suppliers, we work when you need us. 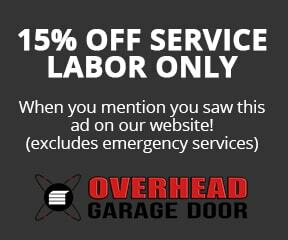 We offer 24 hour emergency services, so don’t hesitate to call us when you need urgent garage door repair in Wilmette. Overhead Garage Door also handles the installation of new garage doors. We have a variety of doors from top manufacturers so that you can get the perfect door for your garage. We’ve got wood garage doors, steel garage doors, carriage house garage doors and more. 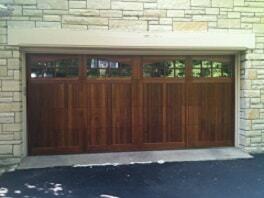 Not only do we have an extensive inventory in stock, but we can also order custom garage doors to install. Call Overhead Garage Door at 888-459-3720 for a free estimate!